Betsy Buffington is an extension program specialist for Iowa State University Extension and Outreach. 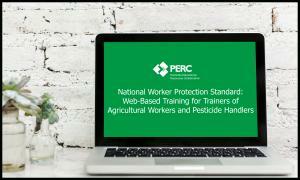 She is part of the Pesticide Safety Education Program (PSEP), conducts pesticide applicator training focusing on seed treatment and fumigation, and develops resource materials for educators and pesticide applicators. Buffington received her bachelor's degree in 1994 from South Dakota State University and her master's degree in entomology in 1999 from Colorado State University.